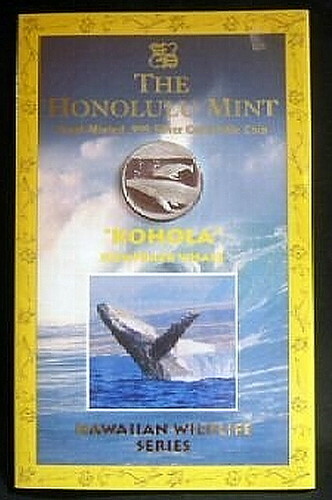 There is a Hawaiian Endangered Species series that was issued by The Honolulu Mint. 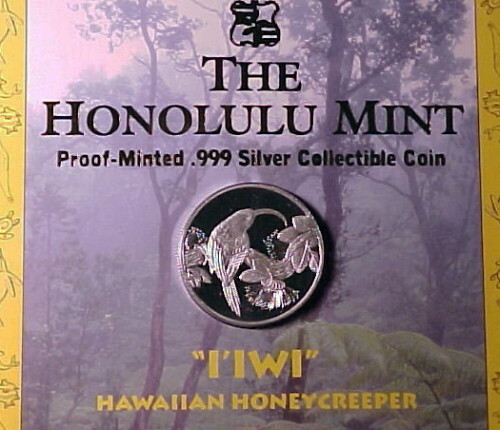 The Honolulu Mint series is not well documented for the the Hawaiian specialist. 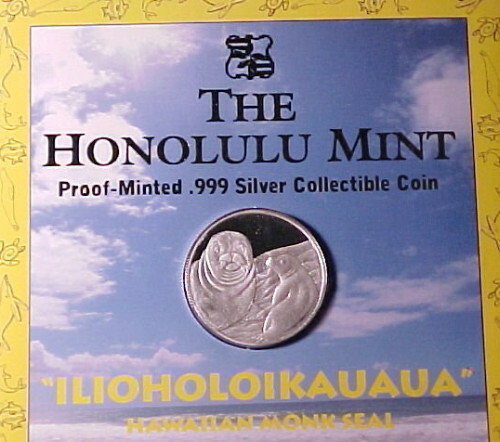 This is good for some collectors (those who know can buy the series specimens at low prices), but bad for the whole Hawaiian coin collecting community (they are not really known, so collectors tend to shy away from them). Below is the Nene Goose from the series. It comes in a booklet with the coin visible from both sides. 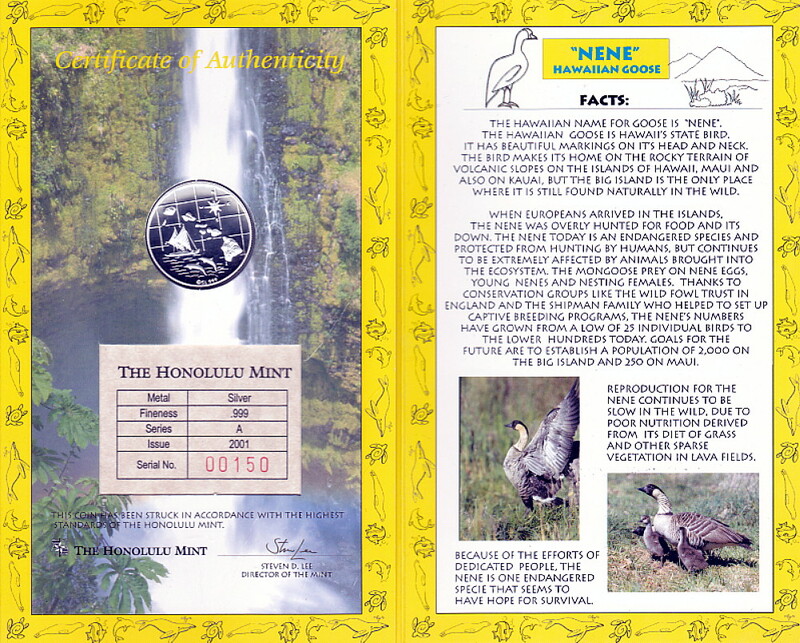 The holder is well made and provides interesting facts about the the Nene Goose and the coins. It also functions as a COA. 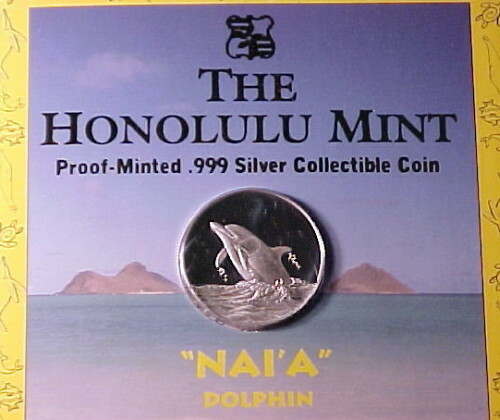 The coin is 27mm in diameter. 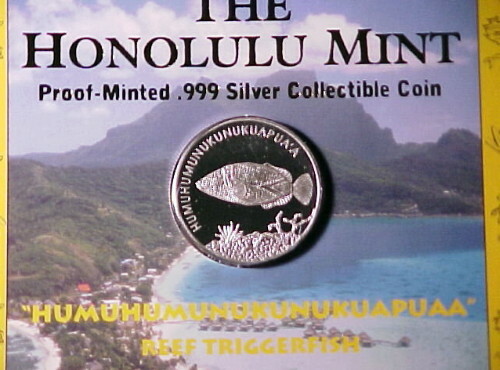 This coin was issued in 2001. 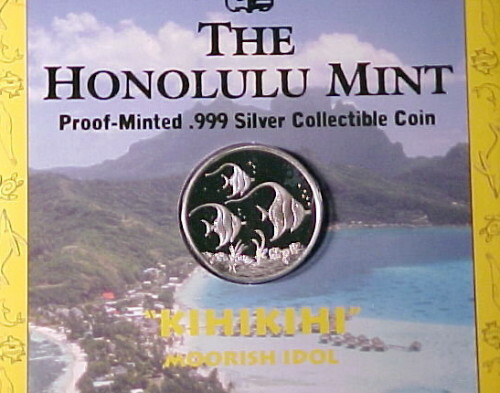 Note that it was sold at the Bishop Museum (see the sticker). The selling price is also listed. 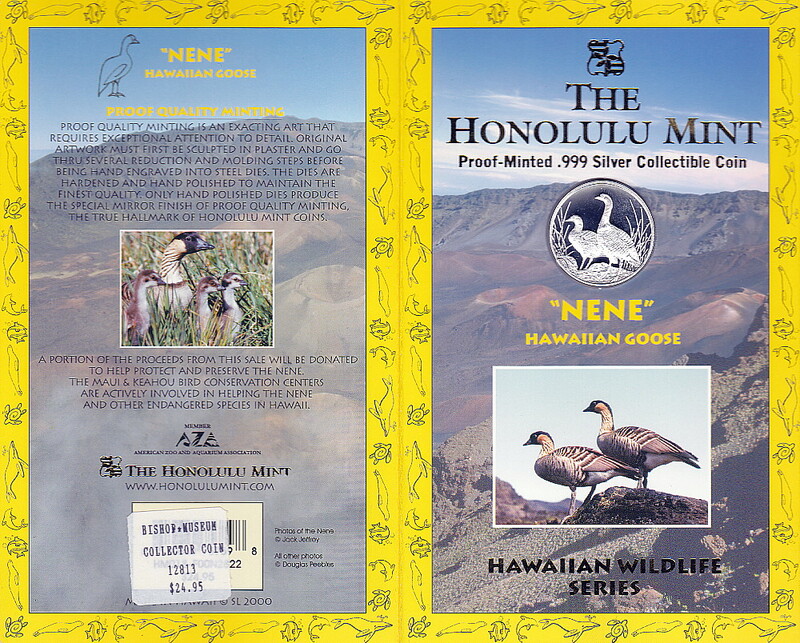 Portion of the sale is to be donated to help protect the Nene Goose. It can be surmised that this series is limited issued. Here are a few other species in the collection series. If you have images of these coins Please provide me images to aid in cataloging this series. Thank you. The ESXX series may expand by 16 (8 – 1 oz silver coins and 8 – 1 oz gold coins). It will depend on the gold/silver deluxe set combination(s).